Legendary Wavedrum technology – now in compact form! 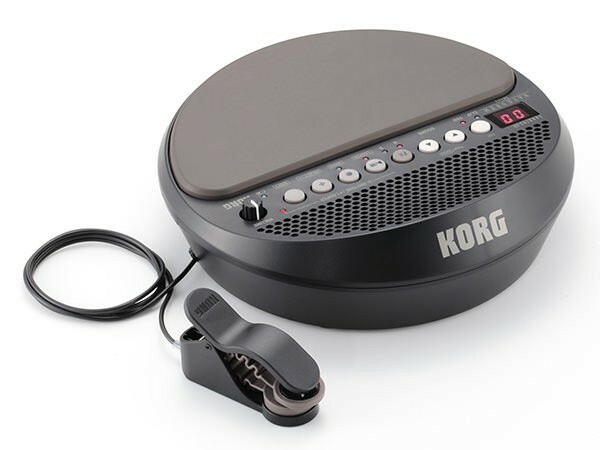 Announcing the energetic and on-the-go Wavedrum Mini; with built-in speaker, battery-powered portability, and a revolutionary sensor clip that transforms nearly any object into an instrument. With drum and percussion sounds from around the world, revolutionary synth sounds, plus unique original sounds, the Wavedrum Dynamic Percussion Synthesizer has been embraced by percussionists, drummers, and music lovers around the world. 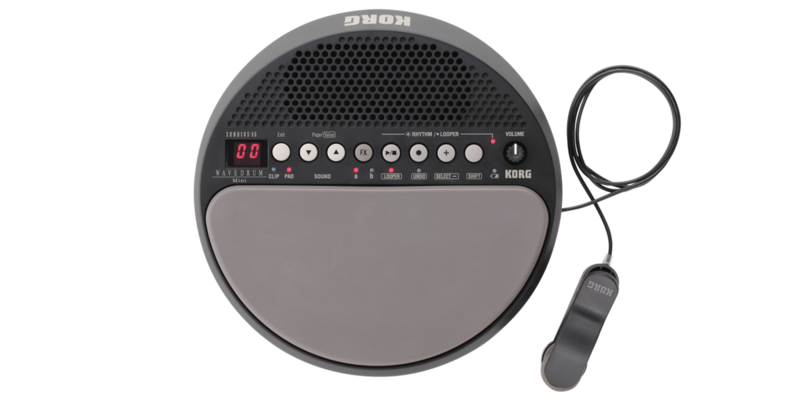 The Wavedrum Mini carries on this sound concept in a compact and portable format – complete with a built-in speaker and battery power for play anywhere convenience. 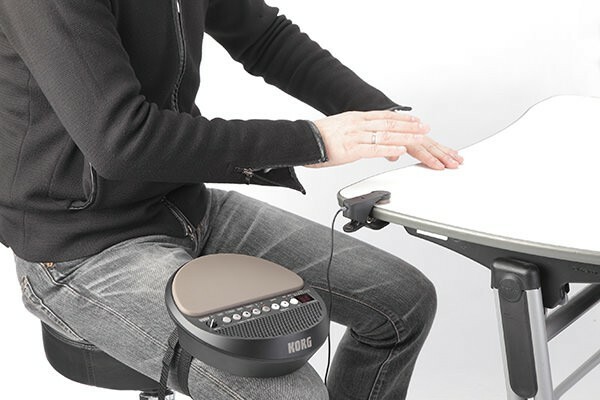 In addition to its dynamic pad surface, the Wavedrum Mini also includes a newly-developed sensor clip which can be attached to a table, cup, or any object, allowing it to be played as a percussion instrument. Using the sensor clip and the pad allows two sounds to be played at once, doubling the Wavedrum Mini’s performance potential. Choose from 100 great sounds; add in one of the 10 exciting effects; play along to one of the 100 internal rhythm patterns, or record with unlimited overdubs using the built-in Looper. The possibilities are endless. The Wavedrum Mini will appeal to musicians who value a truly original performance, or to any beginner simply looking to enjoy playing a musical instrument. Adam Deitch：Drummer of Black Science and Lettuce. As record producer, he’s worked with 50 Cent, Talib Kweli, Redman and more. He has been preforming with Justin Timberlake, Daniel Bettingfield, and Anthony Hamilton as drummer. Tap dance & WAVEDRUM mini! Based on Wavedrum technology, the Wavedrum Mini offers 100 sounds, professionally programmed and ready to play. From acoustic-sounding drum and percussion sounds to cutting-edge sounds possible only on a synthesizer, the Wavedrum Mini offers a diverse range of sounds. Even instruments such as bass, tuned percussion, and stringed instruments are included, allowing you to create both rhythmic and melodic performances. 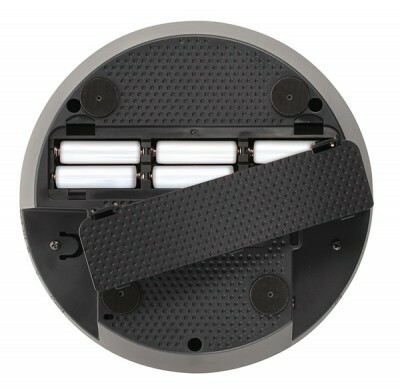 Simply attaching the sensor clip (included) to any object or surface can transform it into a playable percussion instrument, providing a second sound to complement the Wavedrum Mini pad. 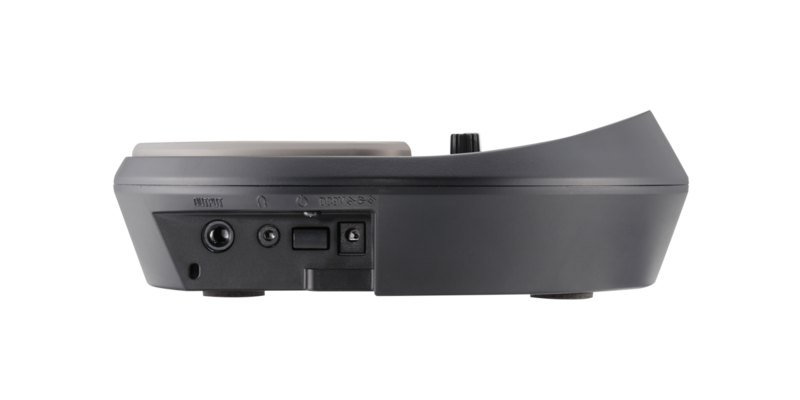 The object to which you attach the clip will have a dramatic effect on how the sound is played, so you’ll be making new sonic discoveries every time you use the sensor clip. The Wavedrum Mini also comes with a convenient strap. Sit down, strap the Wavedrum Mini to your thigh and assign a snare sound to the pad. Next, assign a bass drum sound to the sensor clip and attach it to the upper part of your shoe, and you’ve created a natural-playing drum kit that you can use anywhere! The Wavedrum Mini is superbly portable – you can enjoy playing it in any place, at any time. 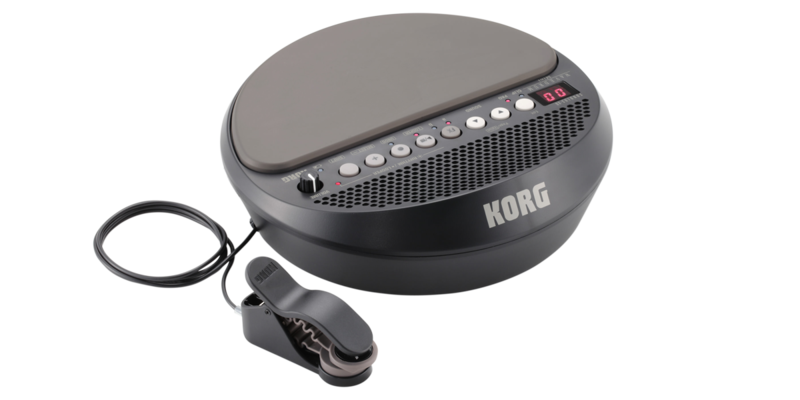 An AC adapter is included; the Wavedrum Mini can also run on batteries, making it ideal for outdoor use or street performances. 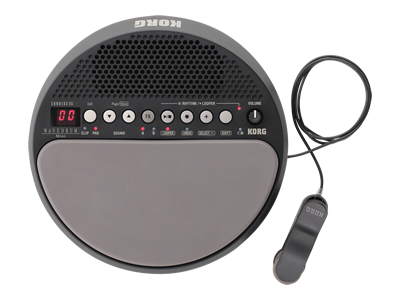 The built-in speaker is another attraction of the Wavedrum Mini, giving you the casual freedom to play on the spur of the moment, and to share your sound – alone, or in an impromptu jam session.